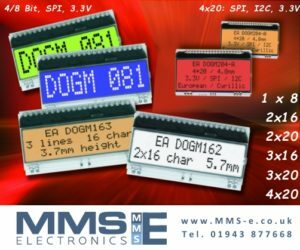 MMS Electronics specialises in the supply and distribution of high-quality displays and sensor products for industrial and commercial application. 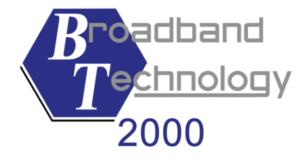 We offer Value Added Services and strong technical product support with over 25 years of expertise in this industry. Our in-house expertise will help you make the right product choice. Our products have long-term availability and short delivery times. 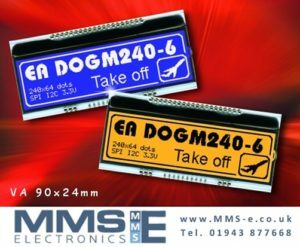 As well as being the exclusive UK distributor for Display Visions (Electronic Assembly Gmbh), Smartec Sensors and Excelera, MMS Electronics represents other world class display and sensor manufacturers. Products include LCD modules, COG, DOG, TFT, OLED, ePAPER, PanelPilot, Touch-screens, Bezels, LED Backlights, Panel Instruments and wireless modules. Intelligent displays with serial, I²C, SPI and USB interface. 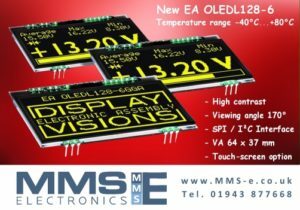 Smart TFT displays with Windows™, Android or Linux OS. Sensor products include the most accurate digital temperature sensor on the market today SMT172 as well as infra-red temperature sensors, humidity and pressure sensors. Temperature / Humidity loggers for chilled and frozen goods and vaccines with USB, Wifi or cloud enabled logging. Universal Digital Sensor Transducer UTI and USTI and high accuracy sensor data converters UFDC for frequency-time domain measurements including as rpm, frequency, pulse, count. 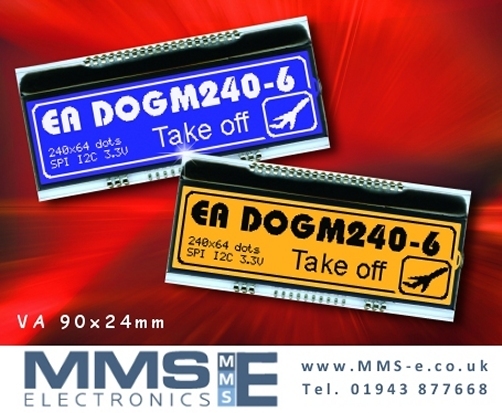 MMS Electronics operates from new facilities in Pool-in-Wharfedale, Leeds LS211FR.